Before the announcement of Universal Studios Singapore map, we had a rumored list of attractions. Now as the confirmed list is out, it is interesting to note how many attractions survived the "cut" and how many did not make it. So which are the attractions that got cut? I would really like to see this attraction in the dreamworks area. This will allow us to have a peak into how Dreamworks make their movies, and get us all excited for the next big dreamworks movie. How cool is that! For this attraction, I have heard mixed reviews. 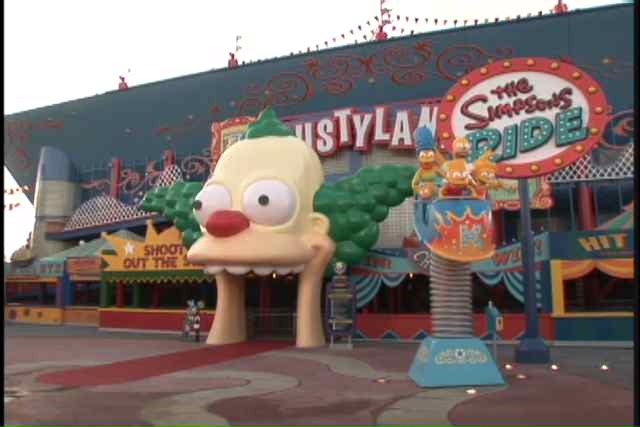 It has also been dated out in the other parks around the world and replaced by Simpsons. However, one thing I would like to see is that how they uses the IMAX dome to create the immersive experience. This would be so cool. But however, I do come to realise that Back to the future is a dated film, and not many people from the new generation know about it. Therefore, I applaud Universal Studios for cutting it from the final attraction list and replacing it with new, unseen attractions based on new movies. For this attraction, I have no idea which version it will follow, whether the Kongfrontation version, or the new 4D version. Kongfrontation-Guests ride on a tram and view the destruction by King Kong on New York, with a close encounter with King Kong. 4D version-The attraction will have Tour guests don 4-D glasses while the tram enters a sound stage. Kongfrontation allows visitors to look at real recreated version of New York streets, with a real animatronics King Kong. While the new 4D version is cool as it combines film elements with physical ride system. As King Kong is always a classic, everyone will recognize it, and it will serve as a perfect fit for the New York Streets of Universal Studios Singapore, hence this ride will be on my wish list. This ride looks cool and is intense and it is based on a all time favorite marvel character. 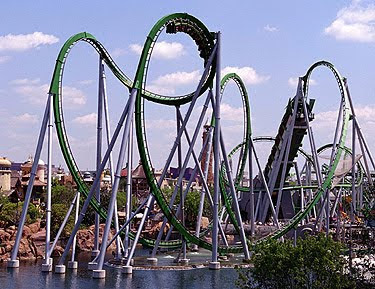 However, it is a huge bulky steel coaster and it may compete with the battlestar Galactica coaster if it is built. Well, we got the river rapids version of this ride, which is even better (I hope). Amazing technology, but based on an outdated movie. Feel no regret when it got cut. I don't know what this ride is about, but I am visualizing it as a race car experience through the city streets. It would be so cool. A musical extravaganza based on Wizard of Oz, showing in the Japan Universal Studios. Although we did not get this attraction, we got the Universal Monsters Show. Cool movie, really like to see it coming to Universal Studios Singapore. However, it may not really appeal to the younger generation or the older generation. 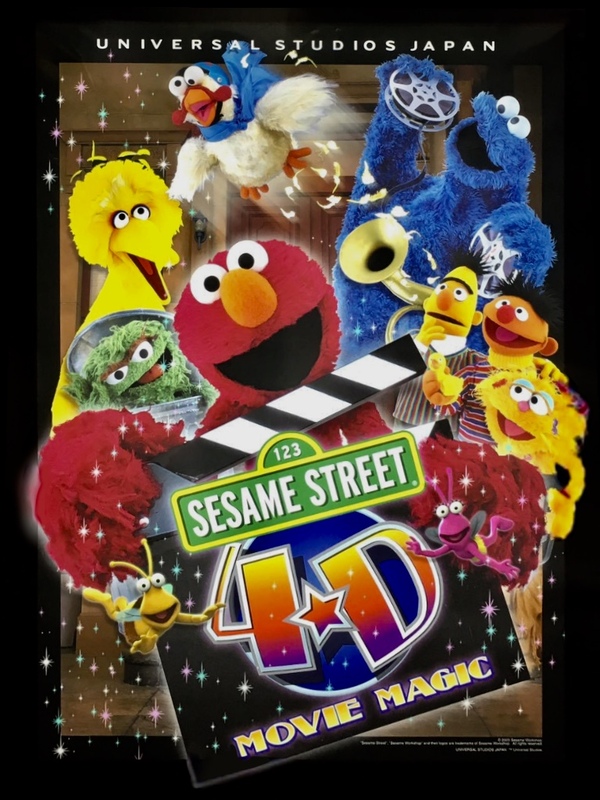 This will really appeal to the younger age group, and a 4D show based on such a celebrated classic is worth seeing! Really sad that we did not get it. No attraction in Universal Studios Singapore now caters to the same age group as the Sesame Street attraction, so Universal Studios Singapore may not really cater to toddlers and preschoolers. Again, ET is a relatively old movie, and people may not be all that excited to see ET as a ride. Not a recent movie, hence people may not remeber it or even know about it. Really fun filled ride, but somehow got cut in the process. This ride will cater to people of all generations and I really wish it will be built. In conclusion, many of the unbuilt rides are all rides based on older movies and are not so up to date technologically as well. The reality is that in the film making business, movies that are only 10 years old are considered as old and only the new and headliner movies will capture the viewer's attention, hence the attractions in Universal Studios Singapore must be based on new and huge films to get people to better enjoy it. Also, I applaud Universal Studios Singapore for not lifting existing rides wholesale, but instead taking on the challenge and designing new attractions that will cater to generations to come. All pictures and artworks belongs to respective owners. I Would rather see Back to the future then The simspons Ride go into the park. I am a fan of both Back to the future and the simpson and i like the simpsons more but the ride isnt good. They shouldnt of made the characters 3D as it loses some of the feeling of it being the simpsons. Plus when i went to universal studios Florida on Christmas 2008 the ride queue was empty when it was a busy day. 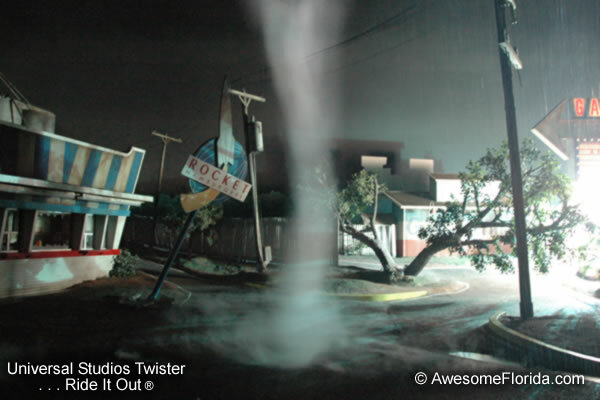 They sould take out water works and build Back to the future there but an updated brand new version of it. Also i am glad they didn't include the Spiderman ride as the Ride system is becoming date but the Good thing is that The Transformers Ride will be an updated version. And all the Special effects. I don't agree with your statment about E.T Adventure, E.T is a classic and is one of the best movies ever made. I kind of understand why some old movies like Backdraft and Twister didn't make the cut, because they haven't made a significant impact on culture, but E.T has. When you see the Amblin logo with the boy on the flying bike and the alien in the basket, you imediatly go "Oh, that's from E.T". 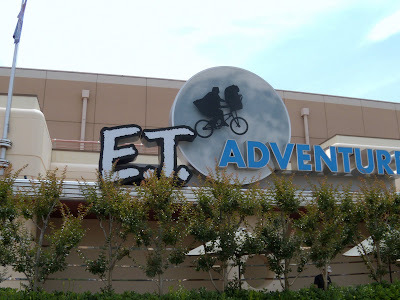 E.T Adventure allows you to fly on the bikes with E.T through space, who wouldn't want to go on that ride. I hate the fact that they closed it at Universal Studios Hollywood and replaced it with Revenge of the Mummy, don't get me wrong I like the Mummy ride, but it's not a classic or as memorable as E.T is. Worse they replaced it in Japan with Space Fantasy, and that's not even a movie. Now only E.T exists at Universal Studios Florida. I wish they would bring E.T to Singapore and bring it back to Hollywood and Japan. I also disagree about the the Back to the Futre ride. 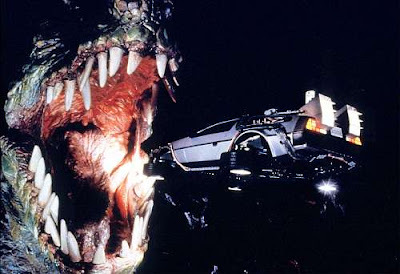 Back to the Future is also a classic and is funny and memorable to this day. The only thing that's dated about that movie is that the "future" is set in 2015 which is only a few years away, and by the looks of it were not going to have Flying Cars or Hover-Boards (although that would be cool).But they could just re-dubb the ride and change the year from 2015 to 2050 since they sound pretty simular. Then again when it turns 2050 it will be dated again. Perhaps it's a good thing that they replaced it with The Simpsons Ride after all Doc Brown dose make that cameo apperance.